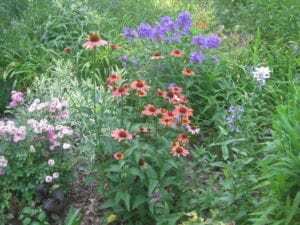 Plant your butterfly garden in a sunny location. Butterflies need both warmth and sunlight. If possible, avoid windy locations, because butterflies prefer to feed in a calm environment. Like all creatures, butterflies need a source of water. In nature, you’ll notice that butterflies congregate around mud puddles. 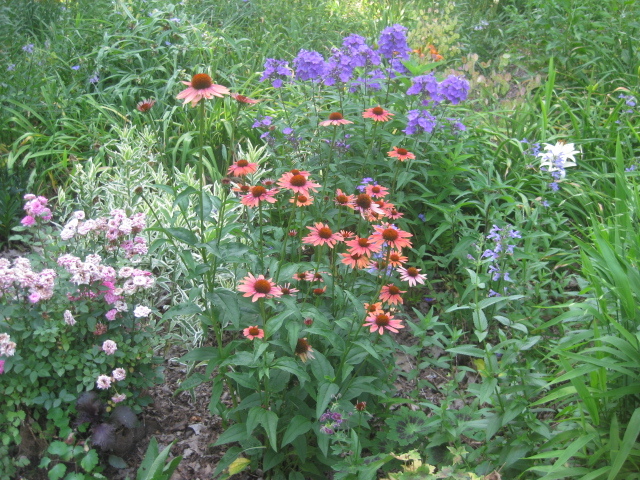 In the garden, provide a shallow dish of water or create a depression filled with sand or soil that is constantly kept wet. 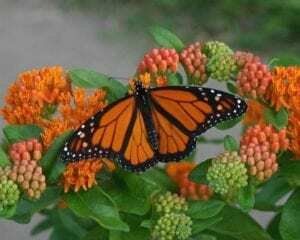 Butterflies prefer nectar-rich flowers, particularly those with wide, open-shaped blooms that can serve as a landing pad or pedestal. Flat-topped flowers, like Yarrow and Sedum, and daisy-like flowers are good examples of flower shapes that attract butterflies. 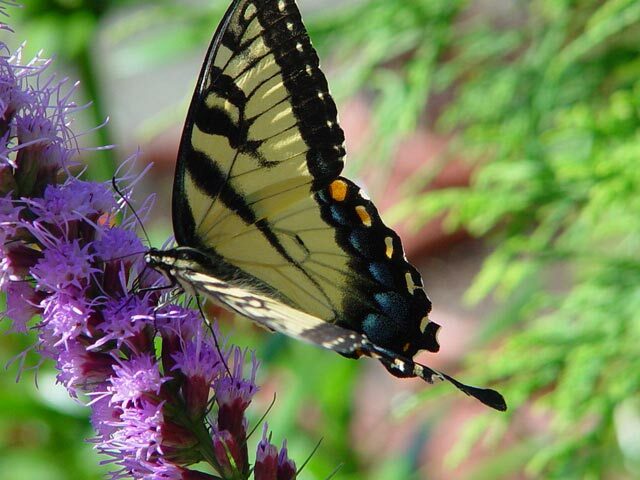 Butterflies seem to prefer brightly colored flowers. 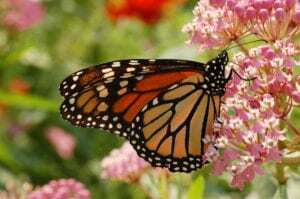 Never use pesticides in a garden designed for butterflies. Since caterpillars are the immature stage of the butterfly, it’s essential that you do not harm them, or you will have no butterflies! 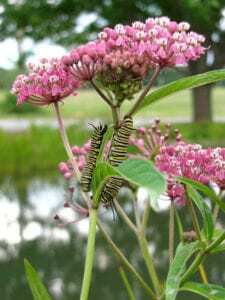 Butterflies themselves require a source of nectar, but their larvae may require a totally different plant as a food source. Remember, the larvae eat leaves, so you’ll have to tolerate some damage to the foliage.